Problems can arise, however, when owners enlist the help of a trainer that uses aversive training methods, and many dog owners are unaware of what these are. 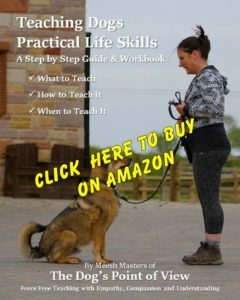 They assume that because someone has set up a dog training business, they are the knowledgeable expert, and so accept that whatever they are told is the best way to train their dog. Sadly this is not always the case, and if you do enlist the help of a trainer that uses aversive training methods, you could end up with more problems than when you started! 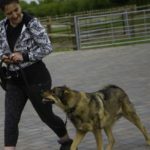 Aversive Training Techniques are easily recognisable as long as you stop and think about how you are interacting with your dog, how you are handling his behaviour and whether your approach is proactive or reactive. 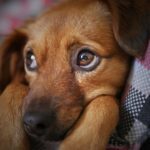 An aversive technique will almost always be reactive, your response in response to something your dog has or has not done. For example, your response to your dog pulling on the lead may be to jerk him backwards, this is an aversive training technique attempting to correct the behaviour of pulling on the lead. Aversives are unpleasant stimuli used to attempt to cause changes in behaviour through punishment; by applying an aversive immediately following an unwanted behaviour from your dog, the likelihood of the behaviour occurring in the future is then supposedly reduced. Aversives can range from being slightly unpleasant or irritating (a smack on the nose) to physically damaging (such as jerking the lead or giving an Electric Shock). Not only are the techniques themselves unpleasant, but often an additional side effect is they can cause psychological damage that can become very deep rooted and long lasting. Shock Collars: Used to cause pain by electric shock when a dog runs away, attempts to leave a garden, to stop barking or any number of training failings. Physical Force: Used to ‘force’ a dog to sit or lay down if it fails to respond to a cue. Also used in an attempt to address many different behaviour problems, for example, pinning a dog to the ground to simulate an ‘alpha dog’ reprimand? Punishment: Used in many training situations to ‘reprimand’ a dog for an incorrect response or unacceptable behaviour, ranging from smacking a dog for failing to come back to physical abuse for chewing, destruction or defecating whilst owners are out. At best, when aversive methods are used in training, they can quickly cause a decrease in motivation and willingness to learn. whilst at the same time seriously affecting the human-canine relationship. Once a dog has learned to fear a particular stimulus, he could also show fear of other similar situations. At worst, they can cause high levels of stress which could affect your dog’s health, ability to focus and learn along with his overall well being and contentment. 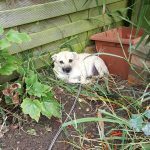 Some of the more sensitive breeds can become unable to relax, fearful of people and in some cases it can actually cause aggression to develop as the dog tries to find a way of coping with or avoiding the unpleasant experiences. Quite simply, aversive training techniques don’t work because they don’t address the CAUSE of the initial problem, nor do they actually teach the dog anything. WHY is the dog pulling on the lead? WHY is the dog behaving aggressively? 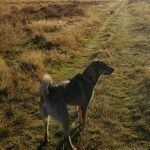 WHY is the dog running away or not coming back when asked? Aversives are used to stop a behaviour, but the behaviour is only a symptom of a cause, ie the dog barks (symptom) because he is afraid (cause). 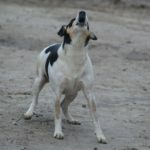 Although aversive training techniques may appear to work, in that they may stop the behaviour from happening, it doesn’t change anything, therefore the original reason for the dog barking, pulling or behaving aggressively is still there. He will just learn to suppress or alter his initial response (to another behaviour you probably don’t want) because of the unpleasant experience that occurs when he behaves that way. This does not mean the behaviour has gone away, and the fact is, it is likely to return, often worse than it was to start with. 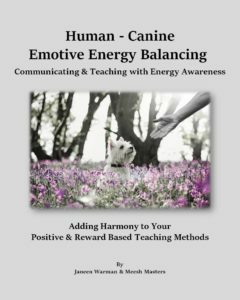 However, in some cases the behaviour doesn’t return, but instead the dog psychologically suffers because the initial stress that created the behaviour is still present, it will just be expressed in a different way. 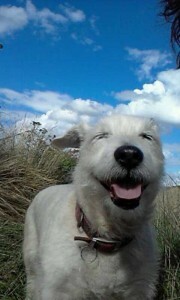 From the Dog’s Point of View: As an example, a dog is afraid of men and barks at them when he sees them. He does this because it is the only way he knows how to try and stop this fearful ‘thing’ from coming near him. It doesn’t matter that you know he has nothing to fear, what matters is his perspective. So you start squirting water at him when he does this (an aversive training method often used for reactive/aggressive behaviour) and maybe he is ‘shocked’ into silence, but he is still afraid! What’s more you have just ‘punished’ your dog for being afraid? Is that really what you want to do? Would you punish a child for crying or acting up because he’s afraid of something, or would you try to find a way to diminish that fear and show the child he’s safe and it’s ok? I know which I would choose. If a dog’s fear is subdued through aversion, it will most likely manifest itself in some other way, or the dog could actually become reactive, because his original attempt to prevent having to face this fear didn’t work. Do you see how that could happen? The reactivity or aggression could even be redirected to a time and place the dog feels less controlled by the squirting water, he then becomes a very unpredictable dog! Say no to aversive training methods, your dog will thank you for it, and end up being a better trained and much more relaxed animal. This in itself can reduce a dog’s reactivity to uncertain situations because he has a strong bond and trust in his owner. In order to ensure you use a trainer who has been fully assessed and uses only positive, reward based methods in the classes and behaviour sessions look for one who is a member of a recognised membership body. No it was not helpful. The article is full of exagerration, inaccuracy and simple mistruths. It’s also notably not authored by anyone that offers to be responsible for its content. And this is how dogs die, this article does not give or show you one way to tell a good trainer. Just from the people who have shared this article I can tell “trainers” with lack of knowledge or skill will exclaim they are fantastic simply because they don’t scream at the dog. 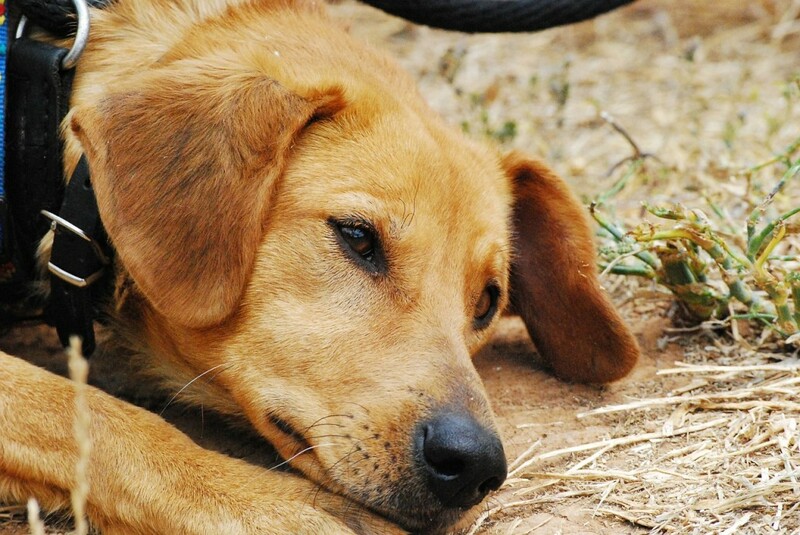 By no means it that true and dogs will suffer at “positive” trainers hand. Please consider adding Karen Pryor Academy Certified Training Partners (KPA-CPT) to your list of trainer resources in this article. The training to become a certified trainer is intense and thorough and trainers must sign a pledge annually that they are forcefree, reward based trainers. Hi Cydney, thank you for your comment, I will certainly update the article to add the Karen Pryor Academy to the list. Good article. People need education, this is the only way the dog training industry can be better, for dogs and humans as well. Hi Magda, thank you for your comment. Hopefully we can all work together to make the dog training industry a better place. In a world where people are looking for a quick fix, aversive training seems to work fast. Unfortunately well meaning dog lovers fail to see into the future and the fallout from such training methods. Sadly they will have to deal with this fallout as well as their original behaviour problem which is likely to return. Suppressing behaviour does not identify or resolve it.